Art to wear! Individually hand sculpted out of bronze, our organic leaf shaped earrings gently curve around your ear. 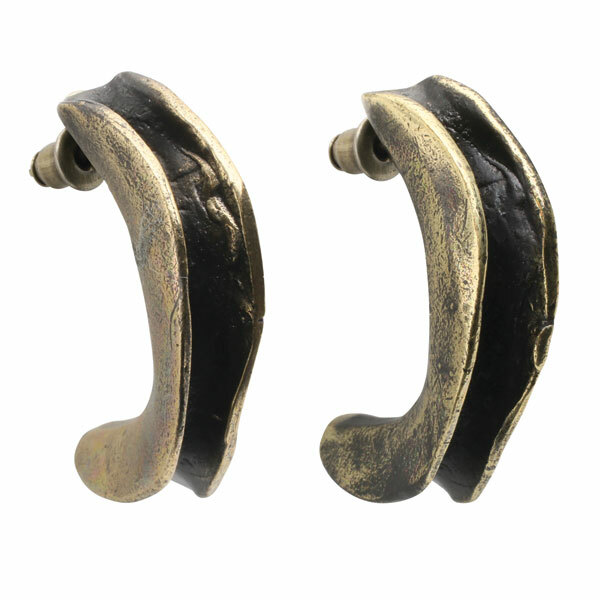 Earrings hang 1 ¼" on bronze posts for pierced ears. Oxidized and hand buffed for a deep rich finish. Nickel and lead free. Made in Turkey.